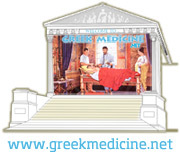 Greek Medicine for the Greeks? What a Novel Idea! After Its Long Odyssey, Will Greek Medicine Finally Come Back Home?